Here are some more Maria Denmark Kirsten Kimono tees. I added pleats to the red/grey/cream floral to bring in the neckline. I didn’t have enough fabric to make the neckband. I thought the neckline stretched out so that is why the pleats. 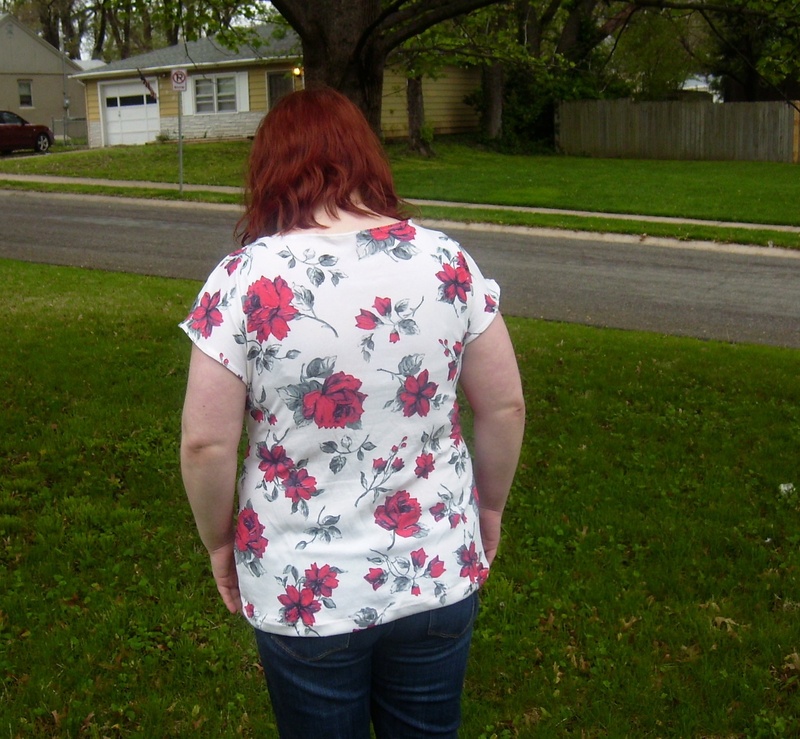 But after wearing the Kirsten Kimono tee I finished last night, I know now it is because there is no neckband. 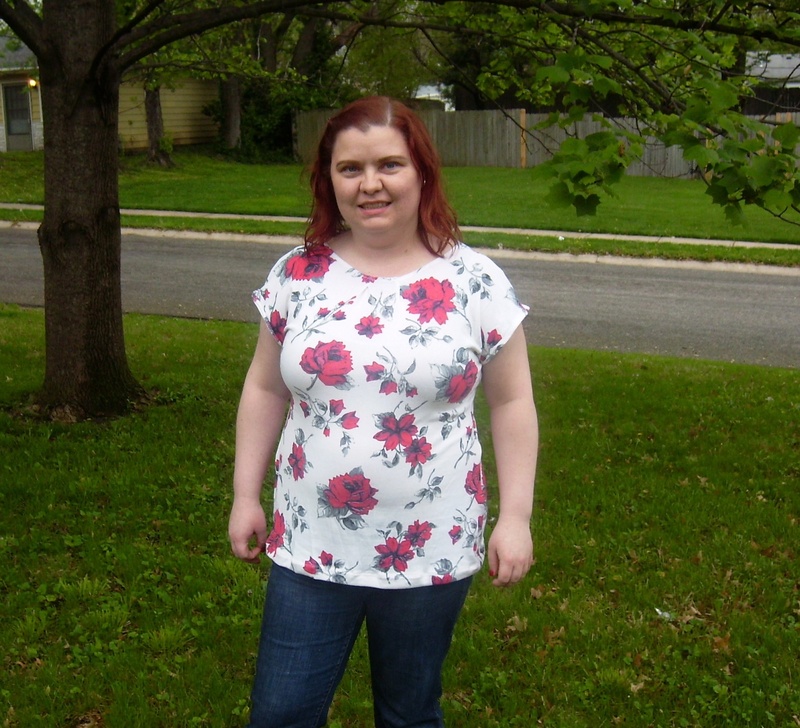 This week, I went ahead and made another Kirsten Kimono tee for me-made- May rotation. Last night, I didn’t feel like doing the math and cutting out the neckband. So I went ahead and turned under and stitched. As I am wearing it right now, I notice the neckline isn’t laying like it should. I think I will go back and add the neckband tonight.